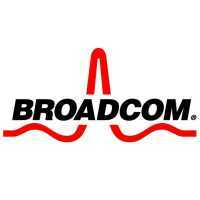 Broadcom is suitable for the Enterprising Investor but not the Defensive Investor. The Defensive Investor is concerned with the lack of dividend payments and the high PEmg and PB ratios, while the Enterprising Investor has no initial concerns. Sandisk is suitable for the Enterprising Investor but not the Defensive Investor. The Defensive Investor is concerned with the short dividend history, the insufficient earnings stability over the last ten years as well as the high PEmg and PB ratios. Intel Corporation is suitable for either the Defensive Investor or the Enterprising Investor. The company passes all of the requirements of both investor types, which is a rare accomplishment. NetApp Inc. is suitable for the Enterprising Investor but not the Defensive Investor. The Defensive Investor is concerned by the short dividend history and the high PEmg and PB ratios. TE Connectivity qualifies for the Enterprising Investor but not the Defensive Investor. The Defensive Investor has numerous concerns and in fact the only things the investor type likes are the market cap and the PEmg ratio. Corning Inc. is suitable for either the Defensive Investor or the Enterprising Investor. The Defensive Investor’s main concern at this point is the short dividend history while the Enterprising Investor is concerned with the lack of earnings growth over the last five years. Xilinx qualifies for the Enterprising Investor but not the Defensive Investor. The Defensive Investor has concerns with the high PEmg and PB ratios while the Enterprising Investor does not have any major initial issues with the company. Microchip Technology is suitable for the Enterprising Investor but not the Defensive Investor, who has concerns with the lack of earnings stability over the last ten years and the high PEmg and PB ratios. The Enterprising Investor, on the other hand, has no major concerns as the company passes all of the investor type’s requirements. FLIR Systems qualifies for the Enterprising Investor but not the Defensive Investor. The Defensive Investor has concerns with the short dividend history and the high PEmg and PB ratios, but the company passes all of the Enterprising Investor’s initial requirements. KLA-Tencor qualifies for the Enterprising Investor but not the Defensive Investor. The Defensive Investor has concerns with the insufficient earnings stability over the last ten years as well as the high PEmg and PB ratios.